Today, I am going to introduce you to BabyPlaces, one of my favorite new children’s apps. This app is truly a must-have for everyone with small kids (think baby or toddler) who has recently moved to Germany, relocated within Germany or just wants to get to know their city better. Every user can now tag all the child-friendly places he or she knows in any German city and discover many, many more… Babyplaces makes it easy to find a great pediatrician, the nearest playground or child-friendly restaurants near you ! It’s also a really fun and colorful app, simple to use and more importantly – it’s FREE ! Littlestarblog interviewed Tino Schulze and Steffen Kneist , the two fathers behind the genius app – so read the interview below to find out more ! 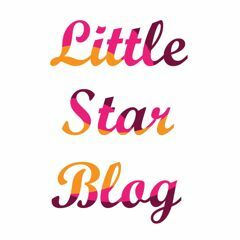 LSB: Hello Tino and Steffen, welcome to Littlestarblog ! Tell us about your business and what you do exactly. T&S: We developed the BabyPlaces-App which shall make it possible for parents to discover child-friendly places in their neighborhood or while being in a foreign city as well as to share their favorite “Babyplaces” with other parents. LSB: What inspired you to start your own business and how did you come up with the initial idea? LSB: What were you doing before this and is this your first business? T&S: We are running an agency melting elements and BabyPlaces is its “heart project”. LSB: What has been your biggest obstacle or challenge so far and how did you overcome it? LSB: What contributions do you want to make through your company? T&S: We strive to make parents’ every day lives easier and more comfortable by helping them be more relaxed whenever they are out and about with their little ones because they know – whenever they need a place to diaper their baby, wherever they are looking for a doctor or playground or maybe just a quick coffee-break in a child-friendly restaurant – they´ll find all that with the BabyPlaces-App. LSB: How do the places that dads and moms post on BabyPlaces differ from each other ? LSB: What has been the funniest experience or best discovery you have had so far while using BabyPlaces ? LSB: As dads, what are your strategies for balancing your work and your family life ? LSB: Where do you see the future of your company? T&S: Happy babies and parents everywhere through using the BabyPlaces app. LSB: What pieces of advise would you give to other aspiring founders ? T&S: Just do it and do it now!